Here at Scuba Dive It our primary goal is to provide a five-star SCUBA diving experience to all of our customers. To accomplish this goal, we work with only the best instructors, dive masters and dive charter boats in the industry. Your safety and enjoyment is our top priority. SMALLER CLASS SIZES AND MORE PERSONALIZED TRAINING. You'll never see more than eight people per instructor in any of our classes unless otherwise requested. Our Headquarters and Classroom are Conveniently Located in Pompano Beach, South Florida. We use a variety of different facilities to conduct our pool/confined water training. These facilities include Tiger tail Lake, local public and private pools. 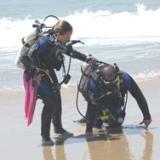 Our open water beach training dives are conducted at Lauderdale by the sea. For our open water boat training dives, we use a number of different local dive charter boat operators depending on the location and type the dives were doing. The training dives are typically conducted on the second and third reef in front of Boca Raton, Deerfield Beach and Pompano Beach. We offer PADI SCUBA diving lessons for kids, juniors and adults. 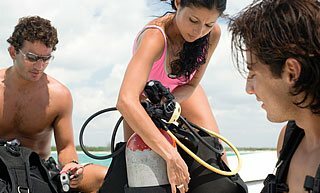 Our personalized PADI Scuba diving programs are designed to match each student's individual skills and goals. All of our PADI Scuba diving programs are performance-based, allowing each individual student to progress at their own pace. 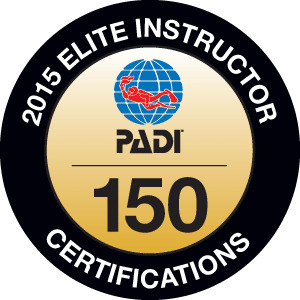 Best of all, you can complete just about all of your PADI Course academics online at home. SCUBA Dive It is a full-service dive center. 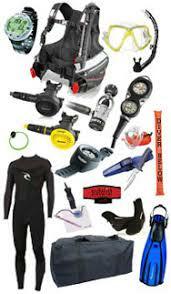 Our dive shop carries the best of the best in scuba gear. All of the products on our site have been tested by us for reliability, safety and durability. All of our products come with full manufacturer warranties and your satisfaction is guaranteed. We don't sell products we wouldn't dive ourselves. 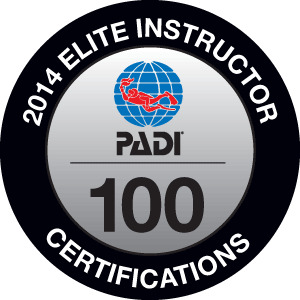 We offer technical diving and over 20 specialty diving courses to take you to the next level. In addition we offer classes in First Aid and CPR, Nitrox gas blending and Tri-mix gas blending. You can become a PADI professional through us as well and start getting paid for doing what you love. With our PADI dive master internship program and PADI assistant instructor program you will be on your way to living the dream.